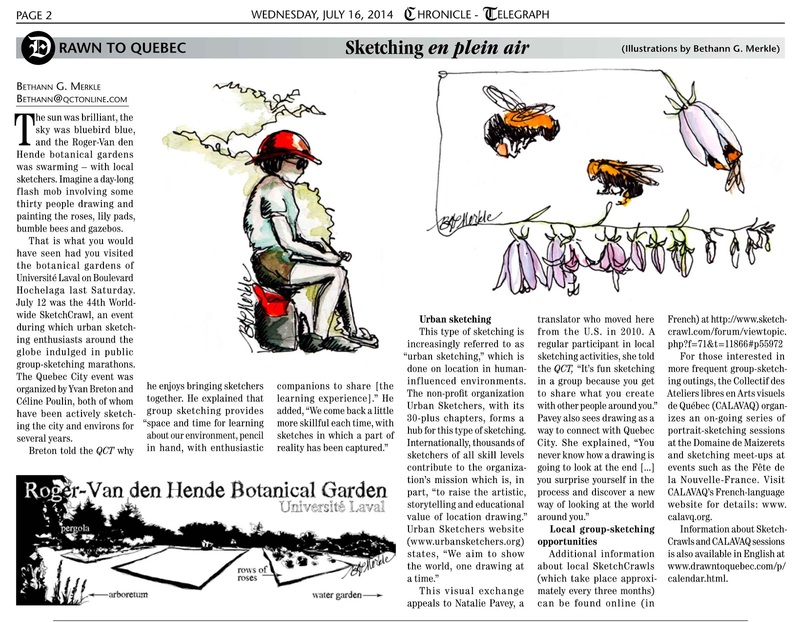 July 2014 saw the launch of my first column melding my appreciation for a striking city and communicating about the world through illustrations and sketches. Each week, I will highlight an activity, location, or individual through a combination of illustrations and text. As much as possible, the column will have a connection to nature, natural history, science and sustainability, though that may be constrained by the limits of a particular topic. As with most of my drawings, Drawn to Quebec readers can look forward to the majority of these illustrations being made on-location, right as I'm collecting material for the article. If you're interested in following along, or want to know more about sketching on location, you'll find complete details on the column's website: www.drawntoquebec.com. Do you feel drawn to your life? 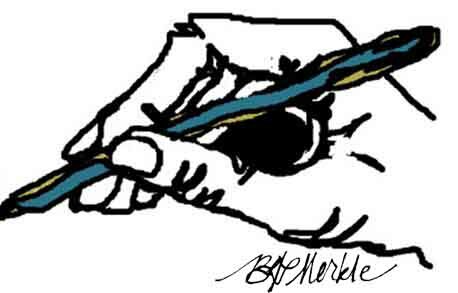 As many of you know, while I enjoy sketching, I love sharing the fun of it with others. So, if you would like to visually record what happens around you, the places you go, and the things you see, but, you're not quite sure how to get started (or you're convinced you're not an artist), I'm happy to help. A while back, I posted a series of introductory sketching and field journaling exercises here on this blog. If you're looking to start your own habit of recording what you see, you may find these tips helpful. I've collected the links on one page on my www.commnatural.com website. Just click here and scroll to the bottom of the page to access them. Finally, if you'd prefer to sketch with someone else, or ask a few questions before setting out on your own, I love teaching sketching and journaling. Check out this description of personalized sketching workshops and lessons I offer for people (and groups) like you - people who want to learn to sketch, sketch on-location, or learn to keep an illustrated travel or nature journal. I've also been collaborating more and more with teachers who want to incorporate sketching or field journaling into their classroom activities. I'm loving the "train the trainer" approach, because it means even more people will have a chance to enjoy sketching. You can also check this calendar to see when and where scheduled workshops are happening. If you don't live where I live, we can probably figure out how I can come sketch with you. Or, I can connect you to online resources and local sketchers in your region. Feel free to follow up with me directly if you have questions, ideas, or want to go sketching together! *It's possible you've already heard this news, if you subscribe to www.drawntoquebec.com or www.commnatural.com.